$2,463 below KBB Retail! Only 57,164 Miles! Scores 27 Highway MPG and 20 City MPG! This Kia Sportage has a strong Gas I4 2.4L/144 engine powering this Automatic transmission. *Get Your Money's Worth for this Kia Sportage with These Options *Variable intermittent rear wiper, Variable intermittent front windshield wipers, Trip Computer, Tire pressure monitoring system, Tilt multifunction steering wheel -inc: audio controls, cruise controls, Bluetooth controls, Temporary spare tire w/steel wheel, Solar glass, Side impact protection, Satellite radio, Roof mounted antenna. *Shop with Confidence *Wilson Auto Sales, LLC graded the Overall Condition of this vehicle as Excellent. Clean, non-smoker interior! *Expert Reviews! *As reported by KBB.com: If you need the all-wheel-drive capability and high ground clearance of a compact SUV, but you don't want to give up sporty handling or head-turning good looks, we think the 2013 Kia Sportage is definitely in your league. Its available 260-horsepower turbocharged engine is a rarity in this segment. 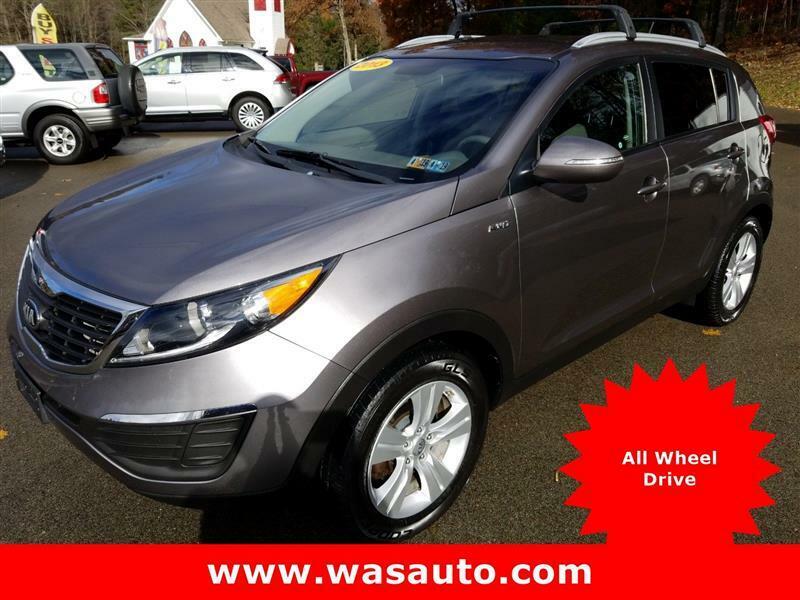 *Visit Us Today *For a must-own Kia Sportage come see us at Wilson Auto Sales, LLC, 5369 National Pike, Confluence, PA 15424. Just minutes away!